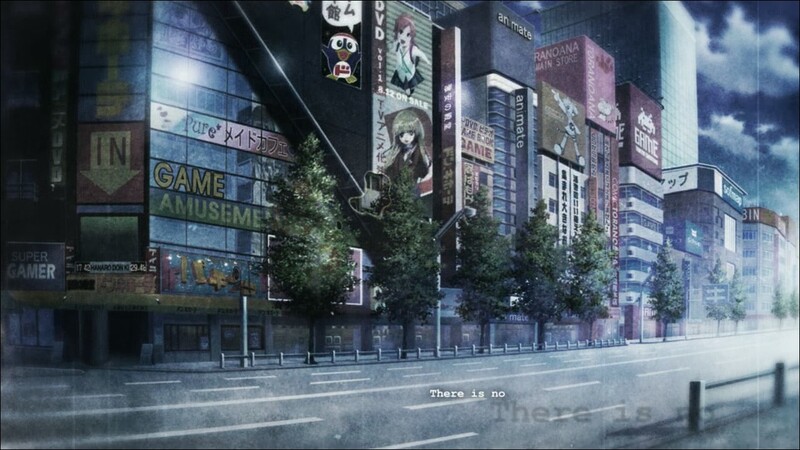 Steins;Gate is a series that I've always wanted to get into, but have never really gotten around to doing so. If you aren't familiar with Steins;Gate as a franchise, I would be forced to sum it up as "a visual novel series dealing with time travel and microwaves". 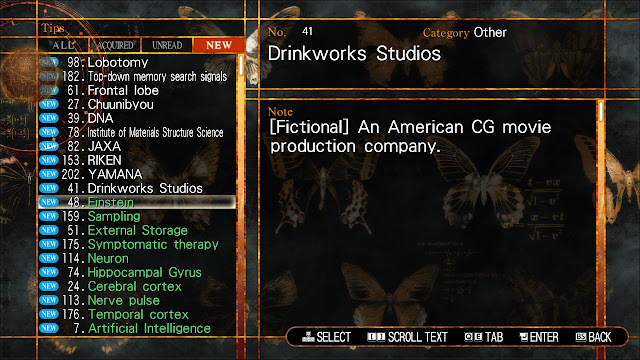 Steins;Gate 0 is a…sequel, sort of, to Steins;Gate. Well, it's about as much a sequel as you can get from a series dealing with time travel. It's closer to an interstice between the majority of the first game/novel and the "true ending" of the first game/novel. Full disclosure here: this is ultimately an interactive story, so don't go expecting action sequences or fighting, as the only real choices you get are whether or not you answer your phone. 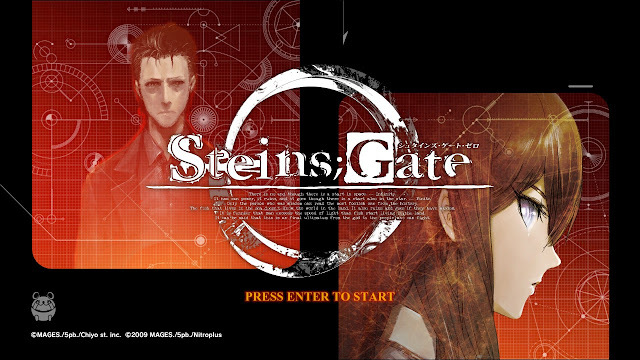 Also, since this is a sort of sequel, expect the occasional spoiler for the first Steins;Gate if you haven't seen/read/played it. There's an anime of it out, so you can watch that if you don't feel like reading/playing it. 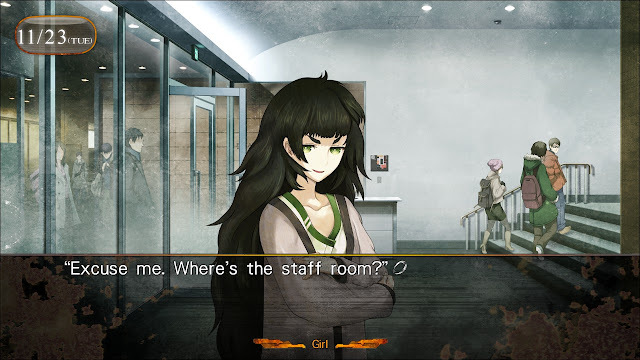 In SG0, you generally switch between the perspectives of three main characters: Rintarō Okabe, Suzuha Amane, and Maho Hiyajo. Taking place during the time continuity where Rintarō gave up after SPOILER accidentally killing Kurisu when going to the past END SPOILER, Rintarō has decided not to use the time machine again in order to prevent World War III, and instead has more or less "accepted his fate". During this time, he attends a conference where one of Kurisu's former colleagues was helping to give a lecture, and finds out that Kurisu's old lab has developed an AI with a very human like conscience, and that they had used the memory data from Kurisu before she died to create the AI. Soon enough, he's drafted into helping test out the AI talking and processing functions. The rest you have to figure out on your own, or read up on. "Gameplay" is basically just reading the text, replying to the occasional "RINE" message (think like messenger, but more Japanese), and answering the phone calls from the AI Kurisu 'AMADEUS'. 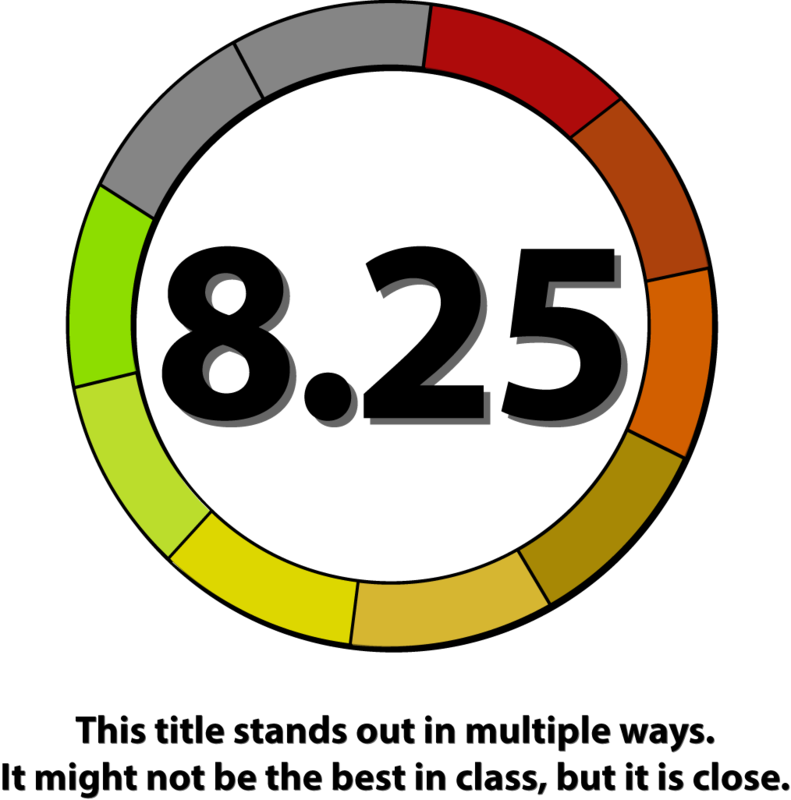 There is a helpful TIPS section that contains a glossary of terms you may be unfamiliar with that will continuously update as you progress through the novel. One particular aspect of the series that I've always liked was the art. For a reason I have a really hard time articulating, I've always been a huge fan of the art style in Steins;Gate. Thankfully, the art style is kept in Steins;Gate 0. With colorful character portraits and background scenery, it certainly makes this style of "visual novel" really pop. The soundtrack was also really nice, although I found some of the tracks to be "needlessly badass", for lack of a better term. Ultimately, Steins;Gate 0 is something that will probably only appeal to you if you're familiar with the series and like "watching" your novels, although a background knowledge of the Steins;Gate universe isn't particularly necessary, as most info is either given to you, or is easily inferred from the dialogue. This is, ultimately, a translated Japanese novel, complete with Japanese voice overs, which are actually quite good, so if you're part of the 'English supremacy group' (and yes, that is a thing), then you may feel a little turned off by the lack of English voice overs. Ultimately, Steins;Gate 0 is a novel. A rather good novel, with interesting, unique, and ironically very 'human' characters, but a novel nonetheless, so you're enjoyment will be dependant on how much you like the storyline, although I can say I really enjoyed it.